Are you ready to throw a huge party but do not know who to turn to for entertainment? Well Photo Booth Dallas does offer a full service DJ and Photo Booth Package. With several years in the entertainment industry you can res assure that we know how to entertain your guests. 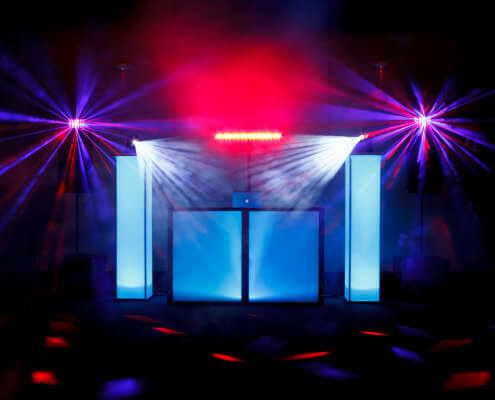 Along with getting a a great price on our package deal you will get an amazing DJ with years of experience who know how to keep your party rocking to the wee hours of the morning. Our professional Dj’s are great on the mic and love to dance along with the crowd in line dances. So call us today and get of your entertainment needs taken care of. I used Photo Booth Dallas at my wedding several weeks ago. Throughout the entire process, they were very responsive and always answered any questions that I had. They also worked with me on the design for the photo strip. They arrived on time and everyone at the wedding absolutely LOVED the photo booth-it was a total hit! I would recommend this company to any in the DFW area who is looking for a photo booth. Very timely and friendly. All the guest had a great time and enjoyed taking pictures with all the props. I would recommend them to my family and friends. In the future I will rent the booth again for another special occasion.